You can get the Zettaly Avy from Amazon at under £110. If you want a cheap but reliable tablet just to hook up to some speakers for playing internet radio, you could consider the Amazon Fire 7 inch tablet at under £50. Listening to the radio need not be by traditional means: that DAB receiver in your kitchen or old FM tuner in your study may be consigned to history, if the Zettaly Avy has its way. Using this smart speaker will also mean freeing up your smartphone for important texts and calls. The Zettaly Avy follows in the footsteps of several attempts by Archos and others to combine an Android tablet touchscreen display with amplifier and speakers. 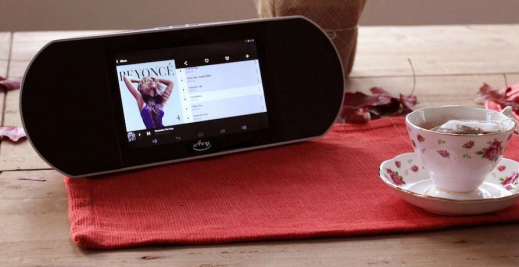 The idea is that the angled display makes listening to music or internet radio simple, either at your bedside or in your living room, using the reliability of Android alongside Google Play's many apps, all wrapped up in a simple-to-use touchscreen interface. 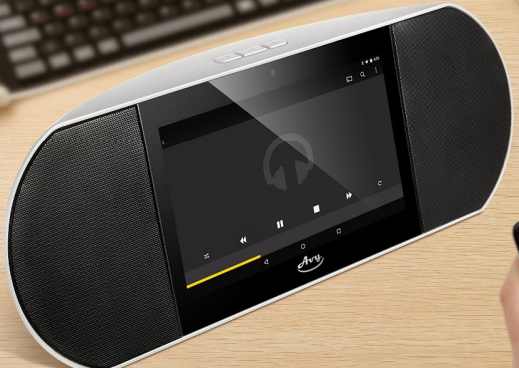 The Zettaly Avy smart speaker packs 2 x 5 Watts RMS power output from its compact casing, alongside a 7 inch touchscreen display powered by Android 4.4, wi-fi and Bluetooth 4.0 connectivity. A lithium rechargeable battery allows the 1kg smart speaker system to be moved around between bedroom and living spaces and used fully for about 7 hours between charges, while its 1GB internal memory, HDMI socket and microSD card expansion means that the system can be hooked up to a TV to enable you to play films or other audio to a bigger system if you wish. But, if you're an internet radio fan, it's the BBC iPlayer Radio (including live restart and the ability to skip, pause and rewind podcasts and catchup programmes), RadioPlayer and TuneIn apps you'll be searching out from the Google Play store, which are easy to use on the Avy's 1024 by 600 pixel capacative multi-touch screen. You'll get high quality streaming from the BBC, as well as thousands of commercial and public service radio stations from around the world. 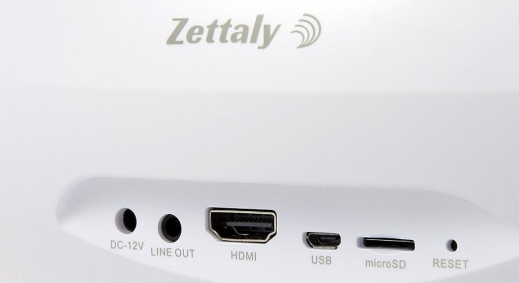 Although compact and portable, Zettaly have thought to include a remote control alongside physical buttons on top of the speaker system for volume control and on/off operation. A front-facing low-res VGA camera on the unit allows you to Skype, too, alongside a built-in mic. The Zettaly Avy measures in at 35.1 x 11.7 x 11.9 cm. With its quad-core processor, built-in rechargeable battery alongside reasonable screen size and resolution it's an interesting proposition for internet radio. The fact that it costs about the same price as current models from Pure or Roberts also scores in its favour. Check the left-hand column to find out where to get one, for under £110.